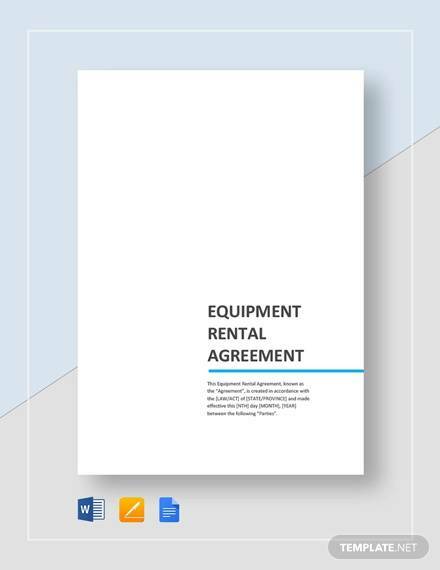 While signing the contract with vendors, you can use the Equipment Rental Agreements to make sure that it is legally binding. The online website contains numerous templates that could be selected according to the requirements and specifications of the users. They are downloaded into different formats primary in word and Acrobat reader. It is an important framework for the companies that are involved in renting equipment without any hassles. The template consists of two columns with checklists that are used to enter the information. At the bottom of the template adequate space is provided for the name of the customer. In addition, signature along with date is also mentioned to make the document authentic. The template comprises of contact name of the companies and the shipping address. The content of the agreement is quite informative and would go a long way in providing impeccable results to the users. 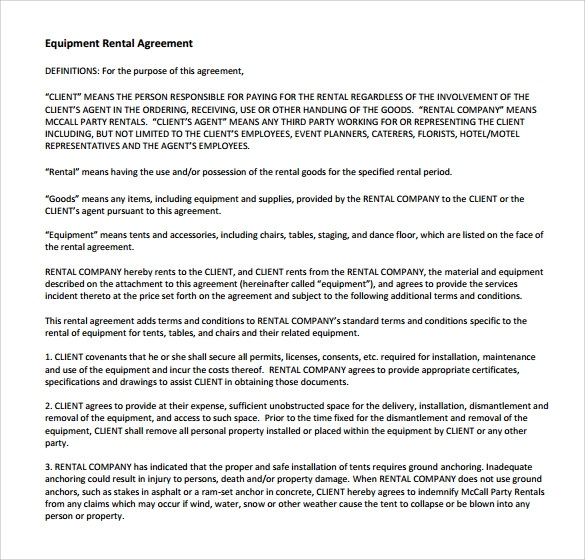 Information about the rental equipment includes the item and serial number along with the description. In addition, terms and conditions are also mentioned in the template. 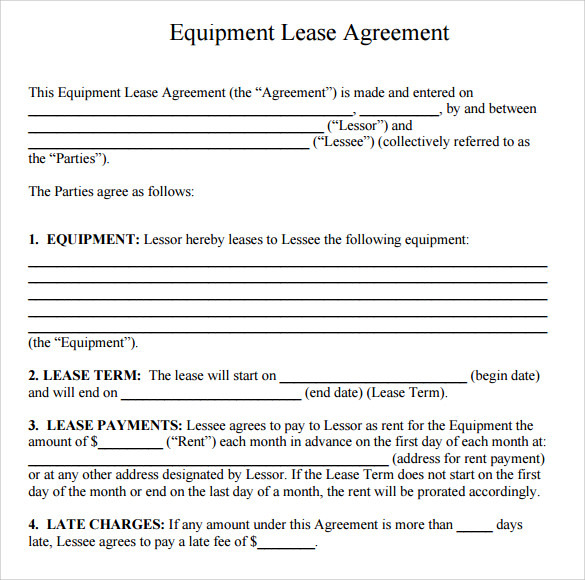 Equipment lease agreement template helps to reduce the time and expenses of the business owners because they can rent the devices without any hassles. 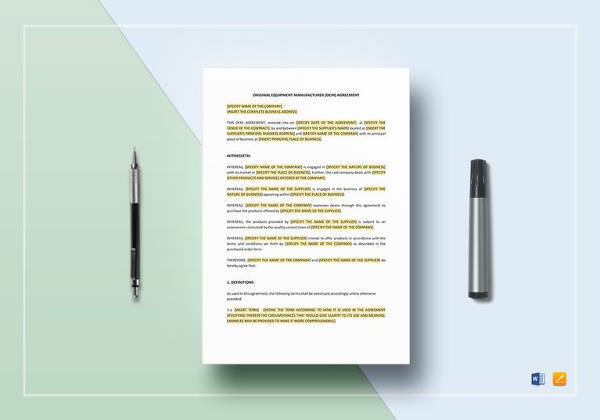 One of the most important aspects of the document is the header containing data about the equipment and also the clauses of the contractual agreement in detail. The rental agreement consists of the tabular columns that could be filled with information as per the requirements and specifications. Structured a simple format, they are easily understood and can be used by the parties in case of dispute. One should make sure that exact quantity of items is mentioned in the template. 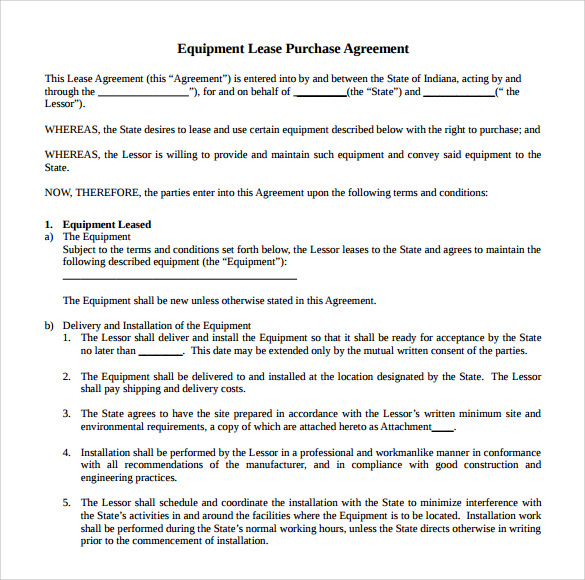 One of the most important benefits of the lease agreement is that it enhances transparency in the contract. 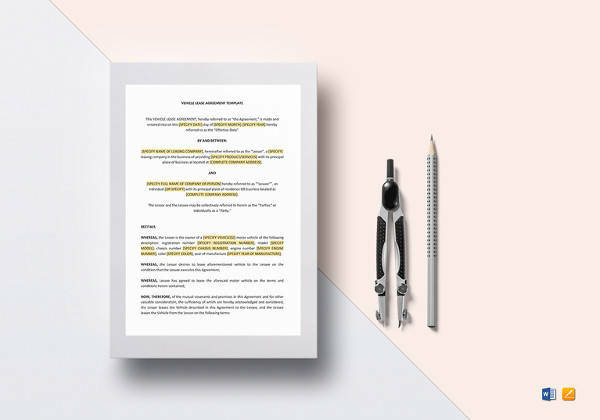 In addition, one doesn’t have to hire a lawyer to frame the document as free downloadable templates are available online. Total time duration of the lease is mentioned in the template. Each item and its description are available so that they can be tracked without any problem. 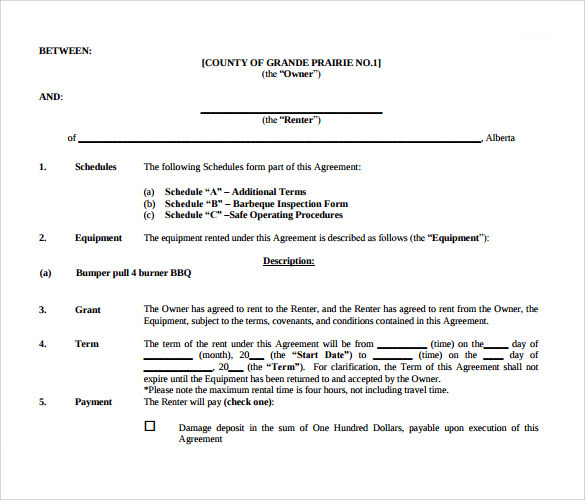 With the equipment rental agreement, you will have the documentary evidence to back your claims in case of any dispute arising with the party involved in the contract. Use the online samples as they are free and accomplish the task quickly. 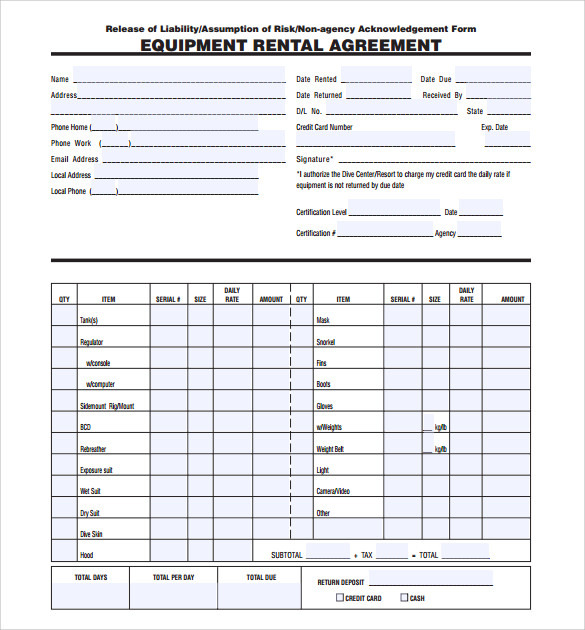 If you are the equipment owner renting to the vendor, use the template for they can be customized according to the preferences. 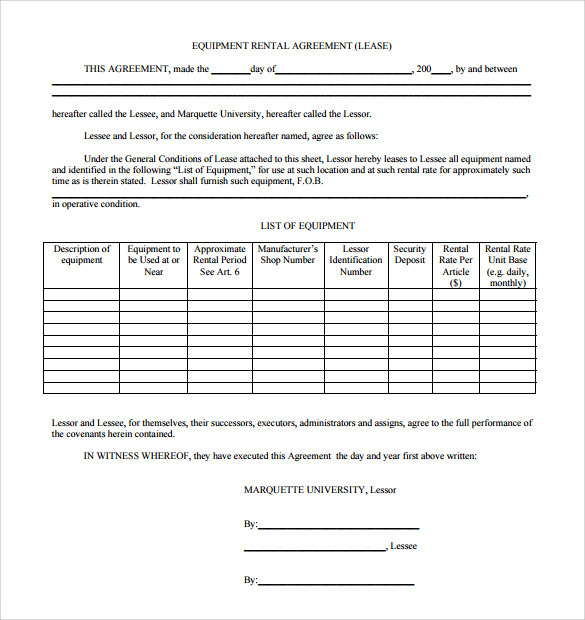 For instance, you can download the sample and fill the headers with the required information to maintain clarity in the contract. Since the template is designed in a suitable format, it would help to make the whole process easy and effective. There are various options for the users as many samples are available on the website. They can analyze the format before honing in on the best choice. It would help to facilitate the contract without making a special effort. Companies engaged in the leasing of equipment will use the templates that are designed in different formats. With the contact information of parties mentioned at the top, it is transformed into a legal document, once the required information is entered and signed on by both the parties. 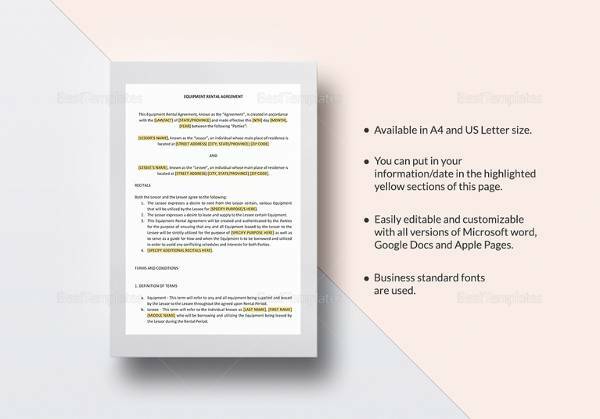 Drafting the text is not required because the templates are available free of cost. 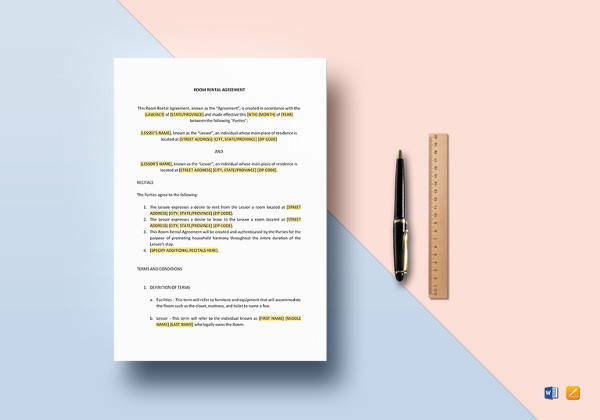 One of the most important aspects of the Contractual Agreement Templates is the contractual condition which is already mentioned in the template. If you want to edit the information, it is vital to download the sample from the internet in a jiffy. 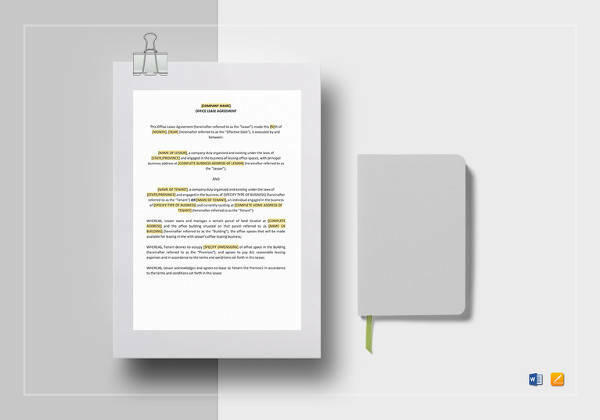 Numerous benefits are available to the users of the template as they do not have to search a lawyer in order to frame the contract. 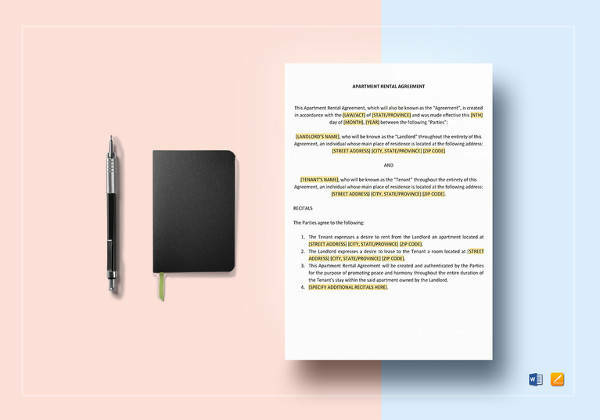 Rental Agreement Templates of different varieties ensure that all requirements are met in advance. 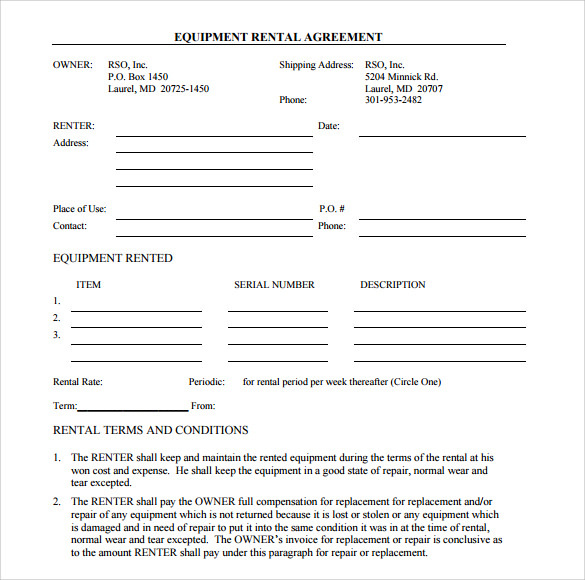 The document is divided into different sections that should be filled with information about the items that have to be rented. A separate list of check boxes is also available in the template to enumerate the requirements in detail. It is bound to make the information simple and easy to understand for the users. 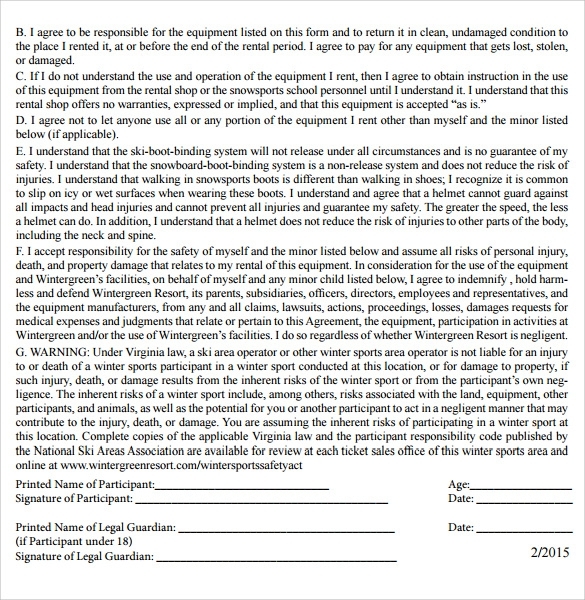 Both parties can take a copy of the template to sign the contract. Contractual agreement template plays a very important role in ensuring transparent business between both parties. 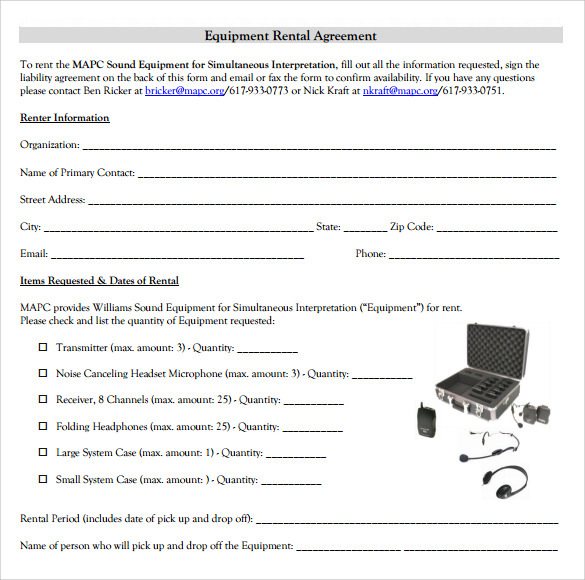 Equipment rental agreement document prevents any discrepancy in an easy and hassle free manner.